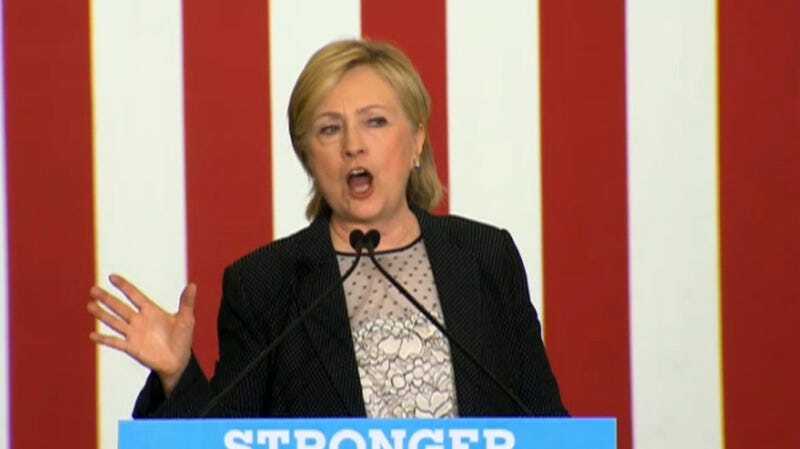 Hillary Clinton just announced at a rally in Warren, Michigan that she wants to connect every American household to broadband internet by the year 2020. It’s a nice thought. But with 2020 just a little over three years away, how realistic is the idea? Not very. According to the FCC’s 2016 Broadband Progress Report, one in ten Americans lack access to high-speed internet, defined as speeds above 25Mbps. And when you isolate the numbers for rural America it gets even worse, with 39 percent of Americans (23 million people), lacking access to high-speed internet. Increasing access to broadband internet in rural areas has been a cornerstone of the Obama administration’s domestic technology policy. It’s in rural areas where, much like the electrification struggles of almost 100 years ago, people have found it difficult to get connected at high-speeds that you’d find in America’s urban areas. But there’s a lot of work left to be done. Last year the FCC changed the definition of broadband internet. The standard used to be a laughably slow 4Mbps. The new minimum for being considered “high-speed” internet was raised to 25Mbps, though many thought that was still way too low. Clinton’s heart might be in the right place, but we’ll need to hear more specifics to see how she plans on getting the 34 million Americans who currently don’t have access to broadband hooked up. In the meantime, maybe she should think about printing some things off the internet in order to get some headlines. Getting people faster internet doesn’t really make the news in this election cycle.